The 20-year-old German player qualified for PokerStars Championship Bahamas via a $10 Spin & Go tournament and finished in 22nd place for $24,000 in January’s debut Championship Main Event. Bolstered by the cash and confidence, he swiftly won a satellite into the next PokerStars Championship event, which takes place in Panama from March 10–20. He will be joined in Panama by three other players who have qualified for both of the opening Championship events via low cost Spin & Go qualifiers - one at $10 and one at $20. De Mario has placed $50 on himself to win the Main Event at 350/1 and $50 to finish in the Top 10 of the Main Event at 34/1. The bets would net him more than $19,000 if he were successful in the Main Event, on top of his tournament winnings. Other players who have placed a bet on De Mario stand to win big too, with the majority of bets being laid on a Main Event win for De Mario. 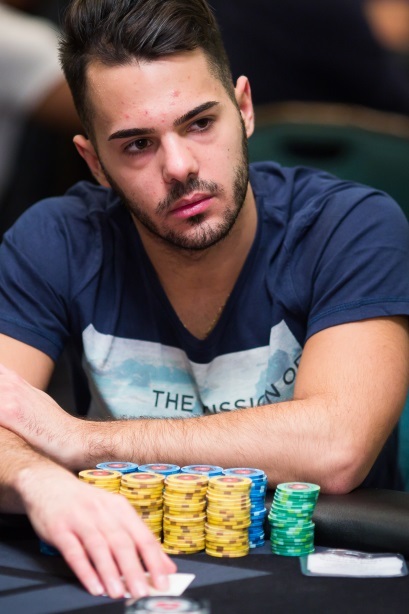 Following his Panama plans, De Mario is aiming to continue his adventures and try to qualify for PokerStars Championship presented by Monte Carlo Casino® (April 25–May 5) and PokerStars Championship Barcelona (August 15–27). He’s also eyeing up another opportunity to see a new part of the world by trying to qualify for PokerStars Championship Sochi, which runs May 20–31. Satellites awarding Main Event seats and packages to PokerStars Championship Sochi are running online at PokerStars now.